Reginald Wayne Theus (born October 13, 1957) is an American retired basketball player and the former head coach of California State University, Northridge. He formerly served as head coach for the NBA's Sacramento Kings and New Mexico State University's men's basketball team. He was also an assistant coach for the University of Louisville under Rick Pitino. Theus was one of four children of Felix and Willie Mae Theus. His parents divorced when he was four. His father had a janitorial business and died before Reggie's senior year in high school. For a brief period, Reggie ran his father's business after his death. Theus attended Inglewood High School in Inglewood, California. Growing up, he also attended Monroe Middle School in Inglewood. As a senior at Inglewood, Theus averaged 28.6 points and 15.5 rebounds per game. Theus played college basketball at UNLV for head coach Jerry Tarkanian from 1976 to 1978. In three seasons with the Runnin' Rebels, Theus averaged 12.9 points, 4.4 assists and 4.3 rebounds per game. Theus, who became one of the best players to ever don a UNLV uniform, shot 81 percent from the free-throw line for his career while amassing 1,177 career points (21st on all-time scoring list), 401 career assists and 389 career rebounds in just 91 collegiate games. As a sophomore, Theus helped lead UNLV into the national spotlight as the Rebels went 29–3, advancing to the school's first Final Four in Atlanta. Despite losing by a single point to University of North Carolina in the semifinals, UNLV defeated UNC-Charlotte in the third-place game and set NCAA single-season records for most points in a season (3,426), most 100-point games (23) and most consecutive 100-point games (12). He averaged 14.5 points, 4.5 rebounds and 4.3 assists per game while shooting 81.8 percent from the charity stripe and 49.7 percent from the field as a sophomore. As a junior, Reggie was named a second team All-American after averaging 18.9 points, 6.8 rebounds and 4.5 assists per game. In 1989, Theus was inducted into the UNLV Athletic Hall of Fame and in 1997 he became one of only eight players in school history to have his jersey retired by the Rebels. After attending UNLV and having a successful college career, Theus was selected by the Chicago Bulls with the 9th pick of the 1978 NBA draft. A 6'7" guard, Theus averaged 16.3 points per game during his first season and was the runner-up for the 1979 NBA Rookie of the Year Award. He was second on the team in scoring behind Artis Gilmore, a future Naismith Memorial Basketball Hall of Fame inductee. Paired in the backcourt with fellow UNLV alumnus Ricky Sobers, Theus followed his rookie campaign with a sophomore season in which he averaged 20.2 points and 6.3 assists for the 1979-1980 Bulls. He garnered the nickname "Rush Street Reggie" while playing in Chicago for owning an apartment on that street and having an active social life around that area, being frequently spotted at the city night spots. In 1981, Theus appeared in his first All-Star Game as the Bulls were 45-37 and made the 1981 NBA Playoffs . The Bulls won their first round series, defeating the New York Knicks 2 games to 0, with Theus scoring 37 points with 11 assists in the 115-114 Bulls win in the final game. The Bulls faced the Boston Celtics in the next round and were swept 4-0 as the Celtics went on to win the NBA Championship. Theus was the leading scorer in game 3 with 26 points, and he averaged 19.8 points and 6.3 assists over the six playoff games. In 1982-1983, Theus averaged a career high 23.8 points per game as the Bulls leading scorer, but the Bulls finished 28-54 . Newly hired Bulls coach Kevin Loughery decided to bench Theus for the first half of the 1983–1984 season. On February 14, 1984, Theus was traded to the Kansas City Kings for Steve Johnson and three second round draft picks, a move that saddened many Chicago fans who enjoyed Theus' enthusiasm and energy. The Bulls finished 27-55. Theus played for five coaches in five and a half seasons in Chicago: Jerry Sloan (1979-1982), Phil Johnson (1982), Rod Thorn (1982), Paul Westhead (1982-1983), and Kevin Loughery (1983-1984) . Theus averaged 18.8 points and 5.6 assists in 441 games in Chicago. Theus continued his impressive play with the Kansas City Kings and Kansas City won 12 of their first 17 games after Theus joined the team. He averaged 16.4 points and 8.0 assists in 30 games with the Kings, as the Kings qualified for the playoffs under Coach Phil Johnson, who had coached Theus in Chicago in 1982,. In the 1984–85 season, the Kings moved to Sacramento, California. In the 1985–86 season, Theus averaged 18.3 points and a career high 9.6 assists as the Kings made the playoffs again, losing to the Hakeem Olajuwon and Ralph Sampson and the Houston Rockets 3–0 in the first round, as Theus averaged 15.0 points and 6.3 assists in the series. Over his four seasons with the Kings, Theus became a key scorer and distributor, averaging 18.8 points and 8.1 assists in 346 games with the Kings. On June 27, 1988, Theus was traded by the Kings to the Atlanta Hawks with a third round pick for Randy Wittman and a first round pick. He averaged 15.8 points and 4.7 assists for the Hawks in 1988–89, playing in the backcourt with Doc Rivers and alongside Hall of Famers Dominique Wilkins and Moses Malone. Theus helped the Hawks go 52-30 and advance to the playoffs. On June 15, 1989, the expansion Orlando Magic, picked him from the Hawks in the expansion draft. Not surprisingly, the expansion Magic struggled, finishing 18-64. Theus averaged 18.9 points and 5.4 assists with the Magic. The New Jersey Nets traded a second round pick to acquire Theus on June 25, 1990. In 1990-1991 he averaged a team-leading 18.6 points along with 4.7 assists for the 26-56 Nets. Theus' NBA career ended after his Nets season. Theus had career totals of 19,015 points and 6,453 assists, averaging 18.5 and 6.3 in 1026 NBA games. He played one season in Italy for Ranger Varese before retiring from basketball altogether in 1992. He also played along with Aris in the Greek Cup Final in 1993. Theus is one of only two players in league history listed at 6 ft 6 or taller to tally more than 750 assists in an NBA season (788 in 1985–86), the other player is NBA legend Magic Johnson. 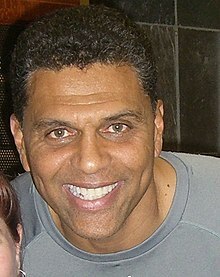 In 2005, Reggie Theus was hired by the New Mexico State Aggies as the head coach of the men's basketball team after the retirement of head coach Lou Henson. In his first season, Theus turned the Aggies from a 6–24 squad in 2004–05 to a 16–14 team in the 2005–06 season – matching the fifth best turn-around for a Division-I men's basketball team. In his second year as head coach, Theus led NMSU to their 17th NCAA tournament, their first tournament appearance since 1999, and coached NMSU to its 14th conference tournament title which earned them an automatic bid into the NCAA tournament. On June 19, 2007, Theus was hired by the Maloof brothers and guaranteed three years as head coach of the Sacramento Kings. He noted his hiring as coach had brought his career to "full circle", as he once played in the NBA with the Kings. Marvin Menzies succeeded him as head coach at New Mexico State. On December 15, 2008, Theus was fired by the Kings and the team announced that their assistant coach Kenny Natt would lead the team in the interim period. Theus was an assistant coach with the Minnesota Timberwolves under head coach Kurt Rambis from 2009 to 2011. In April 2010 Theus was interviewed by DePaul University for its head coaching position. He became the head coach of the Los Angeles D-Fenders of the NBA D-League in October 2012. Theus was named the head coach of California State University Northridge in 2013. In his first season with the Matadors he led them to a 17-18 record, but managed to reach the Big West Conference Finals where they lost to Cal Poly San Luis Obispo. On March 6, 2018 Cal State Northridge parted ways with Theus after a 44-107 record. In 1989 Theus was inducted into the UNLV Athletics Hall of Fame. No. 23 retired by UNLV in 1997. Theus hosted various talk shows in Sacramento, Orlando and Atlanta. For several years Theus served as a studio analyst for Turner Sports and the Los Angeles Lakers. Theus was one of the original panelists on The Best Damn Sports Show Period. Theus plortrayed a high school basketball coach named Bill Fuller in the TNBC Saturday morning sitcom Hang Time from 1995 to 1997. Theus did in-game color commentary and was the pre-game co-host for "SlamBall" for the 2002 season. Theus made cameos in the films Book of Love, Forget Paris and Like Mike. Theus called Pac-12 basketball with Barry Tompkins on Fox Sports Net. Theus is married to Elaine. They have three children: Raquel, Reggie and Rhyan. ^ a b "Reggie Theus Named CSUN Men's Head Basketball Coach". ^ "Adande: Looks can be deceiving". ESPN.com. November 9, 2007. ^ "Inglewood High Retires Reggie Theus Jersey, Honors Former Sentinels Star". November 13, 2014. ^ a b "Reggie Theus College Stats". College Basketball at Sports-Reference.com. ^ "UNLV's Athletic All-Time Hall Of Fame". University of Nevada Las Vegas Athletics. ^ a b c d e f "Reggie Theus Stats". Basketball-Reference.com. ^ a b Clark, Geoffrey (August 5, 2017). "Rush Street Reggie". Chicago Bulls Confidential. ^ "New York Knicks at Chicago Bulls Box Score, April 3, 1981". Basketball-Reference.com. ^ "1981 NBA Eastern Conference Semifinals - Chicago Bulls vs. Boston Celtics". Basketball-Reference.com. ^ "1982-83 Chicago Bulls Roster and Stats". Basketball-Reference.com. ^ a b Cotton, Anthony. "Storm cloud over a sitting Bull". Vault. ^ "1983-84 Chicago Bulls Roster and Stats". Basketball-Reference.com. ^ "1981-82 Chicago Bulls Roster and Stats". Basketball-Reference.com. ^ "Reggie Theus may be the only member of the..." UPI. ^ "1983-84 Kansas City Kings Roster and Stats". Basketball-Reference.com. ^ a b "1988-89 Atlanta Hawks Roster and Stats". Basketball-Reference.com. ^ "1989-90 Orlando Magic Roster and Stats". Basketball-Reference.com. ^ "1990-91 New Jersey Nets Roster and Stats". Basketball-Reference.com. ^ Stewart, Mark (January 7, 2019). "The Sacramento Kings". Norwood House Press – via Google Books. ^ Minnesota Timberwolves roster. Retrieved October 7, 2009. ^ "Minnesota Timberwolves assistant Reggie Theus to interview with DePaul University – ESPN Chicago". sports.espn.go.com. Retrieved October 29, 2014. ^ "Los Angeles D-Fenders (D-League) hire Reggie Theus as head coach". www.insidehoops.com. Retrieved February 23, 2017. ^ Goodman, Jeff; Borzello, Jeff (March 6, 2018). "Reggie Theus to exit as CSU Northridge coach, sources say". ESPN.com. Retrieved March 6, 2018. ^ "Hall of Fame". University of Nevada Las Vegas Athletics. ^ "Inglewood High retires Reggie Theus jersey, honors former Sentinels basketball star". November 12, 2014. ^ a b "Reggie Theus". IMDb. ^ "NBA.com Reggie Theus". www.nba.com. This page was last edited on 23 February 2019, at 12:15 (UTC).